The answer to the first question is, I write Highland romance because I fell in love with the genre the first time I read it. I chose to read it because my heritage is Scottish (among other things, like many Americans). My Grandmother was a Lowther and her mother was a Douglas. My family, on both sides came to America in colonial times. Over the years I have done a lot of research on medieval Scotland and England because it intrigued me. The second question is harder to answer. 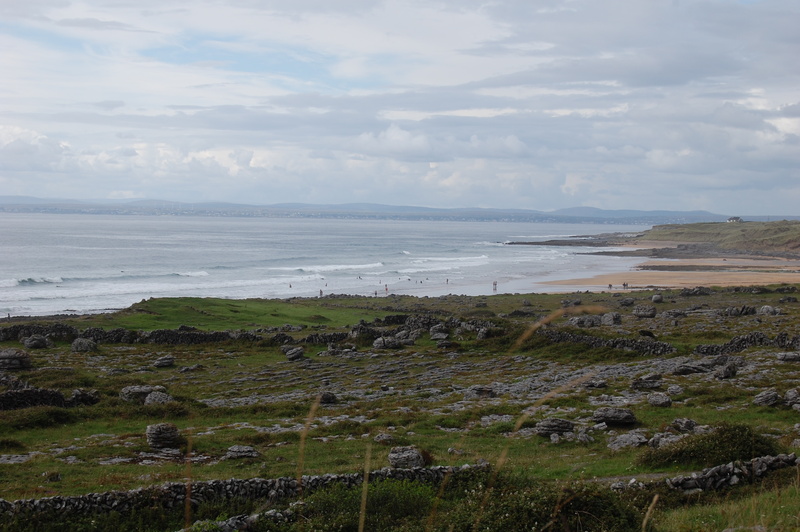 I love Ireland and have spent a lot of time there–significantly more than I have spent in Scotland. My pen name is Irish. My husband came to the United States as an adult so much of his family still lives in Ireland and we visit often. I do want to write some books set in Ireland. The fact is, I just don’t know that much about medieval Irish history but I am currently researching it. Therefore, although they were descendants of the Norman invaders, it was the British as opposed to the Normans that invaded Ireland in 1169. This time, the invaders did not incorporate the local people effectively. There was a book written in 1612 (more than 400 years later) by Sir John Davies, King James I’s, attorney-general for Ireland called A Discoverie of the True Causes why Ireland was never entirely Subdued and Brought under the Obedience of the Crowne of England. In it Sir John notes that the Irish were never granted the benefit and protection of the English laws so that they could be oppressed by the English. Essentially, if they weren’t ever considered subjects of the crown, with the same rights under law as the English, how could they be expected to obey the crown? My books have historical settings, but they truly focus on human relationships more than the history. So far, I have intentionally not chosen settings during particularly violent periods of history. I find it difficult to write the fairy tale romance I love, when the lord of the castle, and the people in power are the oppressors. Romances written from the point of view of the oppressed are equally difficult. I will probably never write a Scottish romance close to the time of Culloden for the same reason. That said, I certainly do applaud those who tackle this difficult subject matter. 6 Responses to Why not Irish? Hi Ceci. Good reasons for not writing an Irish setting book yet. I agree with you, the history of the Irish is very tragic. I like the books you write and who knows when something might hit you and you write Irish. Until, then, keep writing. Thanks Debbie. Someday I may need to create my own universe so I can make all the rules and write the history. LOL. Back to Fingal now. That is a great idea. I think when I do set a story in Ireland I may aim for an earlier medieval setting. I can’t wait to celebrate your release with you! So glad to see you elaborate on this. I will look forward to your Irish medievals. There is so much beauty and magic there, you will craft the perfect stories. Hugs ((Sue-Ellen)). Sometimes I wish I could stop time so that I could get everything done and write everything swirling around in my brain.